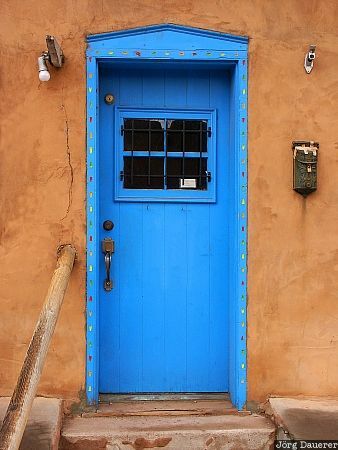 A bright blue door on a typical Santa Fe adobe building. Santa Fe is in northern New Mexico, United States. This photo was taken in the morning of a sunny but very cold day in February of 2004. This photo is part of the exhibition The color Blue (June 2011). This photo was taken with a digital camera.